In the United States, the second half of the 20th century brought about historical socio-political movements that revolutionized American culture. Following the end of World War II in 1945, the U.S. entered a new era, experiencing a sharp growth in population, a successful economy, and an increased standard of living. By the late 1950s, a sense of uniformity spread through American society, leading to the rise of several progressive movements looking to break away from this conformity. Following the American Civil War and abolition of slavery, the United States entered a period known as Reconstruction, during which Black Americans continued to suffer from disenfranchisement, racial segregation, and economic oppression. Beginning in the early 1950s, Black Americans launched a series of major campaigns of civil resistance, emphasizing the need for nonviolent protests and civil disobedience. From the movement came several successful efforts, such as the Montgomery Bus Boycott of 1955-56, a campaign launched by Rosa Parks against the policy of racial segregation of the public transit system in Alabama. “Sit-ins” became popular across the American south, particularly in Greensboro, North Carolina, helping increase national sentiment. There were also marches, such as the march from Selma to Montgomery, during which activists walked along the 54-mile highway from Selma to Montgomery, Alabama in an effort to display the desire of Black Americans to exercise their constitutional right to vote. 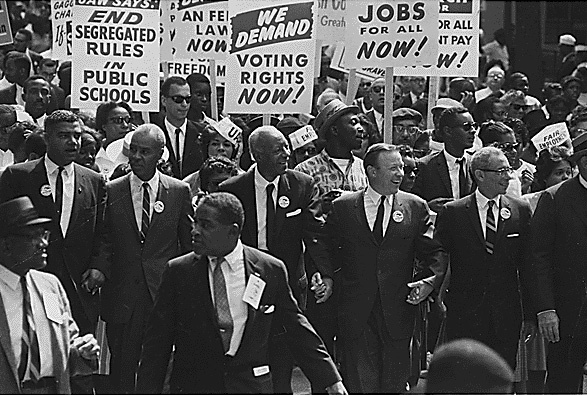 Notable civil rights leaders included Martin Luther King Jr., Malcolm X, Andrew Young, James Farmer, and more. Counterculture began to develop in the United States following the rise of conformity in American culture during the 1950s. By 1963, youth, particularly those of the white middle class, began rejecting the cultural standards and normality of their parents, opting for progressive attitudes instead. 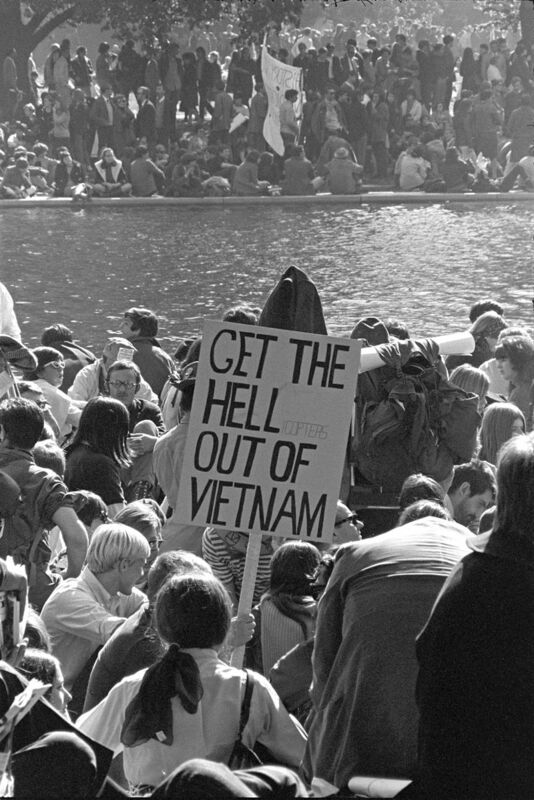 The movement gained momentum as the Civil Rights Movement became increasingly successful and as the U.S. military intervention of Vietnam began to take a negative turn. The counterculture movement opened the doors for the social acceptance of alternative lifestyles and progressive ideals amongst the white middle class. Hippie counterculture moved further into popular culture following the Summer of Love in 1967 when thousands of people came together in the Haight-Ashbury neighborhood of San Francisco. Along with Greenwich Village in New York City, Haight-Ashbury became a hub for the counterculture movement. The Mexican-American Civil Rights Movement, also known as the Chicano Movement, is perhaps one of the least studied social movements of the 1960s. The movement incorporated several different issues that plagued the large Mexican-American community: farm workers' rights, improved education, political and voting rights, restoration of land grants and more. Beginning in the southwestern states, the majority of this activism originated in the youth community, who voiced their concerns on university campuses across the world. Within just a few short years, the movement had spread throughout the country, influencing other Latino communities to join in the fight to create a new transnational identity. Leading the movement, Cesar Chavez, an American farm worker and labor leader, became one of the most well known Latino civil rights activist of the period, co-founding the National Farm Workers Association. Participants of the movement remained active throughout the 1970s but lost momentum in the following decade. The Gay Liberation Movement was launched in the summer of 1969 following the Stonewall riots, a series of violent demonstrations by members of the LGBTQ community in response to a police raid that took place on June 28th at the Stonewall Inn, a bar located in the Greenwich Village neighborhood of New York City. Within months, groups such as the Gay Activists' Alliance and the Gay Liberation Front were formed in an effort to bring the fight for LGBTQ rights to the forefront of American politics, establishing three newspapers that were heavily circulated. Soon, LGBTQ organizations began popping up across the country and the world. By 1970, the first Gay Pride marches took place in New York City, Los Angeles, Chicago and San Francisco in an effort to commemorate the anniversary of the Stonewall riots, a tradition that continues today throughout the world. In June 2015, the Stonewall Inn was unanimously granted landmark status by NYC’s Landmark Preservation Commission. In June 2015, the Stonewall Inn was unanimously granted landmark status by NYC’s Landmark Preservation Commission.